Does your business have a first aid kit? 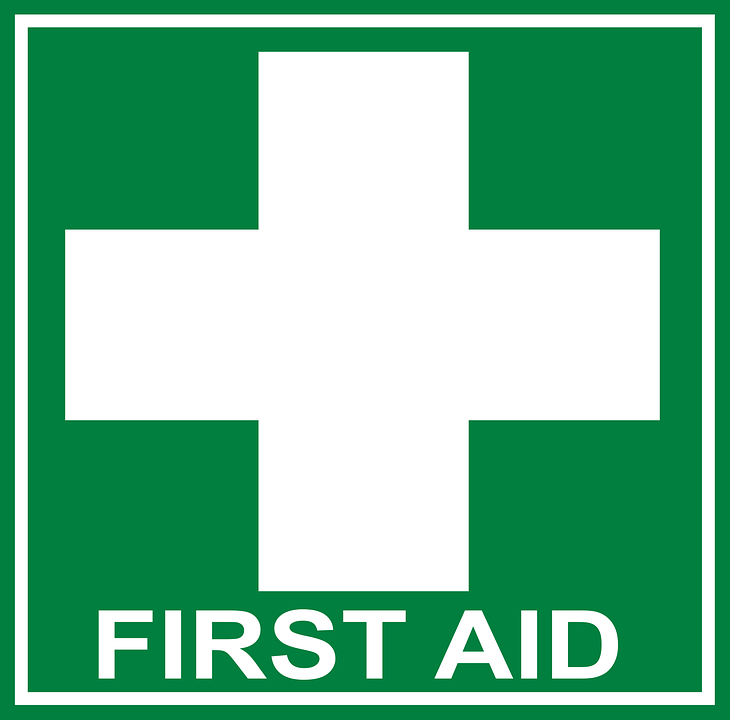 Do you have people in your business trained to render first aid? 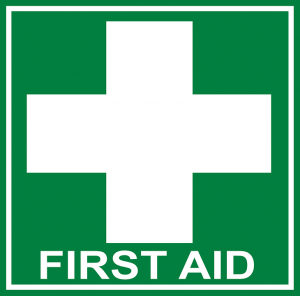 What are the requirements for first aid kits, first aid training, and such according to OSHA? So first let’s talk about what OSHA means by “near proximity”, because that can be vague. In a workplace, where employees may be exposed to hazards, like machinery or powered equipment, a response time over 3-4 minutes in considered “near proximity”, and for an office setting, “near proximity” is deemed 15 minutes. This comes from the OSHA Letter of Interpretation from March 2007. 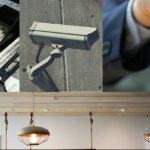 So how does this effect your workplace if you are a retail establishment? Do you have any machines employees use, baggers, cardboard compactor, steamer, or anything else? Then you should probably hold your business to the standard for a 3-4 minute response time. This holds true for a restaurant, where an employee could burn themselves severely. 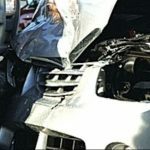 Now, factor in that the national average response time for an ambulance in most urban environments is 8 minutes or MORE, and you soon realize, you would be outside of the OSHA standards for near proximity and should have trained first aid responders on site. Having a first aid kit in the workplace is just a good safety precaution, even if you feel you aren’t required to under OSHA guidelines. It can become confusing though, because the OSHA Regulation, simply says “Adequate first aid supplies shall be readily available.” What is deemed adequate? What supplies must you have? In an OSHA Letter of Interpretation from April 2002, Richard E. Fairfax, Director: Directorate of [Enforcement] Programs for OSHA talks of how the ANSI standard Z308.1-1998 would be deemed adequate for most small workplaces, but you should also have suitable supplies for the risks in your workplace. ANSI/SEA Z308.1 2009 – Minimum Requirements for Workplace First Aid Kits and Supplies Basic Kit – minimum contents. 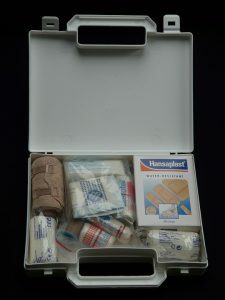 This amount would be sufficient for a small workplace, with 2-3 employees, and then increase the amount of supplies as you increase employees, and also consider having one basic kit of bandages in the front of the business and a larger more comprehensive amount of first aid supplies in the back office. 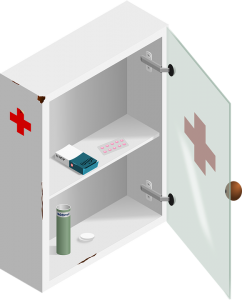 If you plan on keeping your medical cabinet locked up in a back office, consider this OSHA Letter of Interpretation from January 2007, which says it is ok to lock the medicine cabinet up, but it must be accessible during an emergency. So, be careful with locking it up, because if it isn’t accessible when needed, it can result in a worse injury, and potentially trigger an OSHA inspection. It is also important to note that if you have a first aid kit, and it is poorly maintained, OSHA could find you in Willful noncompliance, which could dramatically increase your fines. If you decide your business is required to provide first aid training, know that OSHA has requirements for providing Bloodborne Pathogen training along with it, as clarified by this OSHA Letter of Interpretation from January 2007. So what does that mean for your business? Well, OSHA’s Bloodborne Pathogen requirement has specific rules as they relate to training, recordkeeping, and even offering Hepatitis B vaccinations. One aspect of the Bloodborne Pathogen requirement that is often overlooked is a policy, written specifically that addresses workplace exposure risks, along with proper handling and cleanup of blood and other bodily fluids. 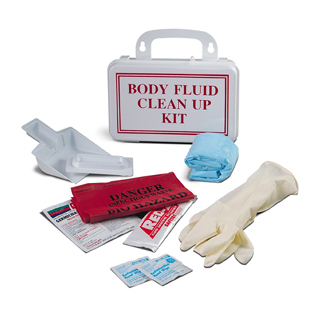 You also need the proper bloodborne pathogen cleanup kit, I you have bloodborne pathogen training for employees. Because like earlier, partially implementing a program or plan, could show OSHA you were aware of your requirements but didn’t follow through with them, and increase a citation to a Willful, and lead to much higher fines.